The 13VD15-50 from Pelco is a 15 to 50mm vari-focal lens which is able to offer high quality operation when used within a variety of different surveillance setups for delivering both clear and detailed images for optimal viewing by the operator. The 13VD15-50 camera lens comes with a 3.3x zoom ratio, an F1.5 aperture, a CS mount, as well as a 1/3-inch sensor, and a 12.5mm flange focal length. The 13VD15-50 vari-focal lens features a manual iris, a manual focus, a manual zoom, a 0.8m object distance, plus a lightweight, rugged and compact size. 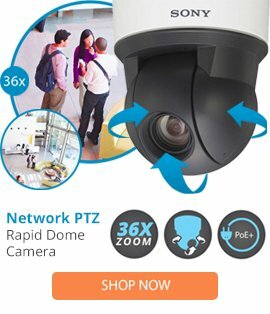 This professional security camera lens is able to offer simple installation, and can deliver clear image quality within a large range of applications.